Economic concerns, technological threat and uncertain futures have contributed to a crisis of confidence in print. Throw in rapidly changing market expectations and media choices, and you have an industry that’s been on the back foot for several years. But a reversal is underway. Print is reinventing itself to be more vibrant than ever, an energetic force in a multichannel communications world. Years of turmoil have forced printers to refine their systems, minimise waste and maximise process automation and efficiency. Streamlined process management and being based on a renewable resource make print a highly sustainable, as well as effective, medium. Rising environmental awareness is encouraging environmentally smart media buyers to refocus on print. The forces shaping today’s print industry and its sustainability are complex and often confusing for printers and their customers. Factors include electronic media, technological innovation, crossmedia business models, environmental regulations, global economics and an increasingly mobile and interactive media audience. InMobi, developers of mobile advertising platforms, estimate that consumers spend an astonishing 37 per cent of their media time with mobile. Global brands are exploiting this. Mark Fellows of McCann, a global ad agency, has worked with IKEA to print special graphics rather than QR codes in IKEA catalogues, so that “extended content (is) triggered by page scans of special symbols”. These smartphone scans link to IKEA’s websites for additional home decor ideas and upselling. But complex new media options, digital technology implementations and green expectations can breed market uncertainty. For many printers investment decisions in such a climate can be risky so they are cautiously exploring new ways of doing business, embracing digital tools to support changing customer needs. Successful printers are reshaping their businesses to help clients leverage channels and align commercial and environmental goals. Short term novelty responses to overhyped environmental awareness are not enough to make a difference. Sustainability is a global and essentially economic concern, requiring enormous resources to solve. “Environmental solutions are essentially economic, so it’s a shared problem,” Stephen Fitzgerald, Cofounder Affirmative Investment Management. Affermative Investment Management is the world’s first dedicated green bond management company. The cohort of organisations tackling climate change and reducing environmental impact is growing. From the UNFCCC and ISO to the Sustainable Green Printing Partnership in the US, plus scores of smaller local environmental projects, awareness is rising that environmental management is everyone’s responsibility and the planet’s necessity. Environmental sustainability is not easily solved but the printing industry can make a difference. It’s sustainable not just because it uses renewable resources. The collapse of traditional print markets forced widespread consolidation and reinvention. Printers automated and streamlined processes, cutting waste and excess emissions. In all sectors and geographies, survival dictated lean and efficient production based on automation and standardisation. Industry standards such as the ISO 12647 series emerged to support process control and data driven production, resulting in less waste. Automated, standardised production manages colour quality and ink consumption across substrates and for digital output. Thanks to technology, standards and the printer’s skill, media buyers can trust that colours will be accurate in every iteration, from building wraps and banners to product labels and packaging. And such efficiency minimises emissions and waste, improving environmental sustainability as well as commercial. Packaging and labels are perhaps our most common shared print experience. “Responsible packaging protects the product, extends its shelf life, ensures that the product is safe for the consumer to use,” Ken MacKenzie, Managing Director Amcor. The European Organisation for Packaging and the Environment says that “packaging needs to be able to fulfil its enabling role in a circular economy by optimising resource use, minimising waste and extending the value in a product and the economy.” Printers are investing with sustainability in mind. “Sustainability is a key part of our strategic criteria when selecting technology suppliers to build our business on, and working with partners such as Xeikon in particular has enabled us to invest in a platform confident that sustainability is key to both their philosophy and ours,” Dr. Adrian Steele, Managing Director Mercian Labels. Colour quality communicates brand owners’ values, and their environmental and sustainability messages. Speed drives Fast Moving Consumer Goods packaging and label production. SmileyColor, a US packaging production consulting group, say that every day’s delay getting product to shelf costs a brand $100,000, so process efficiency and control are vital. The balance between the economics of achieving high turnover, and managed environmental impact and waste control is delicate. Despite the scale and complexity of achieving this subtle balance, the packaging industry is responding. An ambitious example is the Carlsberg Circular Community (CCC). Among other activities, this collection of Carlsberg and global suppliers is developing packaging materials optimised for recycling and reuse. The Green Fibre Bottle, biodegradable and biobased, is being developed currently and will consist primarily of sustainably sourced wood fibre. “By using partnerships strategically, we can obtain much bigger scale and scope of our sustainability activities, and we are excited every time a potential partner approaches us about joining the community. Together we can make real lasting impact,” Simon Boas Hoffmeyer, Sustainability Director, Carlsberg Group Denmark. To various degrees in different geographies, regulations restrict the composition of substrates, inks and press consumables, and govern waste management. In the UK companies handling packaging weighing over 50 tonnes per year are required to recover and recycle packaging waste. There and elsewhere printers who use ink chemistries with high Volatile Organic Compounds (VOC) must comply with rules of varying stricture to protect health and safety, and avoid pollution. Ink manufacturers must comply with diverse chemical regulations, especially for packaging inks for perishable goods. Low migration inks are critical, but recipes must not compromise the material on which they are printed or the package contents. ISO 17098 Report on substances and materials which may impede recycling is one of many useful tools. 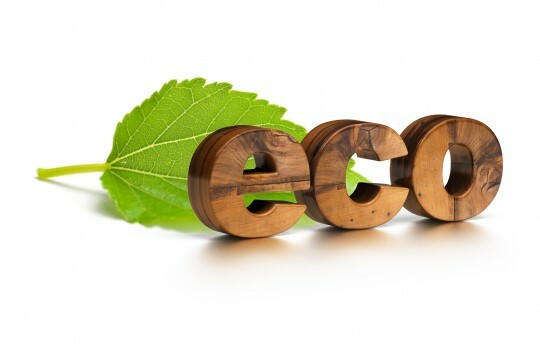 Standards such as ISO 14001 (Environmental management systems) and ISO 16759 (Calculating the carbon footprint of print) help printers to support customers’ public environmental commitments, which can be ambitious. Kingfisher, a multi-retail sector conglomerate, wants “100% responsibly sourced timber and paper in all our operations by 2020”, according to Jamie Lawrence, Senior Sustainability Advisor. Kingfisher wants compliance with environmental legislation such as the US Lacey Act, the European Union Timber Regulation and Restrictions on Hazardous Substances II, plus other rules as they emerge. But nothing changes if customers aren’t on board with sustainability objectives. Brand owners can drive reduced dependence on primary materials, leading to innovation in label substrates and print processes. But the market and economics drive sustainability in print so the biggest challenge for print’s sustainability is the relationship between commercial, practical and sustainability priorities. This dynamic influences all aspects of, and links within, print media supply chains, requiring motivation and resource. Managing print’s environmental impact demands commitment to commercial, practical and sustainability goals, and their clear articulation. How printers balance these interests is subjective. They must be able to produce products within a cohesive environmental framework and be profitable. Development of sustainability policies and production models is a massive challenge for print media supply chains. But it’s one all players in print media supply chains can embrace. The Messe Dusseldorf has always set the highest standards for the infrastructure of the Exhibition Centre. We operate the latest energy efficient air-conditioning systems and have ISO50001 certification. As a leading host of over twenty international trade fairs we work with a multitude of partners and service providers who comply with our high standards and guarantee an optimum interplay of all energy critical processes and energy savings through renewable sources. Furthermore, we actively support exhibitors in the design and planning of their stands to effectively help them reduce their carbon footprint on-site. For all of our trade fairs and drupa in particular, we regard climate protection and resource-saving operations as an integral part of our corporate philosophy and management responsibility.